With a third of Kiwis living now in rentals, the issue of pet ownership is debated more often. Bindi Norwell, chief executive at the Real Estate Institute of New Zealand (REINZ), takes a closer look at the pros and cons. Under the Residential Tenancies Act 1986, property owners have the right to refuse any tenancy applicant with a pet, whether a cockatoo, goldfish, cat, or dog. A consultation on the reform of the Act was launched this August by the Minister of Housing and Urban Development Phil Twyford after the A Stocktake of New Zealand’s Housing report. Among the reforms is a plan to better equip landlords and tenants to reach agreements about pets. While a revised Act will contain provisions for owners whose properties are deemed “unsuitable” for pets, there is increasing understanding that tenants keeping pets has unexpected advantages. What are the pros to pets in rentals? New Zealanders are huge pet lovers. Globally, we have more pets per household than anywhere else in the world, except the US. According to REINZ research, desire for pet ownership is increasing, with around 350,000 petless New Zealand households wanting a pet soon. Tenants in a pet-friendly rental can face problems if the property is sold or they are asked to move on. They face finding another pet-friendly rental, and sometimes they pay extra for the privilege. US research in 2015 found tenants in pet-friendly properties stay longer than people without pets, giving landlords greater rental security. 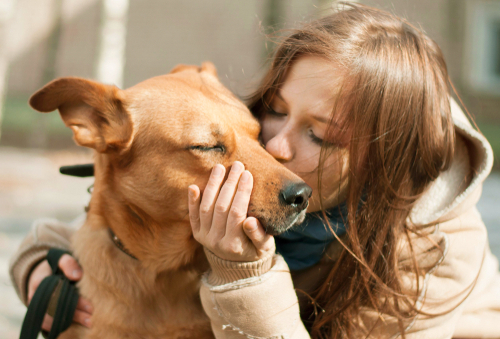 Tenants can feel more comfortable living with their pet companions. Plus, with home ownership out of reach for so many, never allowing tenants to have pets means they could spend the majority, or all, of their lives without being allowed a furry companion. The cons to pets living in rental property are obvious – potential disturbance to neighbours, allergies for future occupants or re-occupying landlords, and potential damage to property or grounds. At REINZ, we acknowledge that both property owners and tenants deserve consideration in the rental equation. ● REINZ acknowledges that pets contribute to the emotional wellbeing of households. But dogs and cats can create significant low-impact damage to properties, which can be expensive to repair. ● REINZ does not think a ‘pet bond’ will cover the damage pets can cause and costs incurred. Serious damage can take weeks to repair, with the property unliveable in the meantime. ● Animal allergies can be severe. Landlords with pet allergies wanting to re-occupy their property should have the option of declining pets due to concerns about exposure to allergens. Tenants and children with allergies can’t tenant properties previously housing pets – that pesky hair can be so difficult to remove completely! ● If landlords can’t refuse pets in rentals, there needs to be a way for tenants to be liable for the full amount of a landlord’s insurance excess to repair the damage, or be liable for full repair costs. Changes to the Act will unlikely become law anytime before mid-2020, but real estate agents and buyers need to understand proposed reforms before buying. Real estate agents need to educate themselves on what a pet owner might need from a house, such as large or fenced off backyards for dogs. Property investors need clarity around the extent of a proposed pet bond paid by tenants to protect against damage, and whether it offers complete coverage. Bindi Norwell is Chief Executive of the Real Estate Institute of New Zealand (REINZ).